The risk factors for the detachment of big thrombi from the vessel wall in patients with deep venous thrombosis (DVT) are still not clear, which are potential risks for pulmonary embolism (PE). 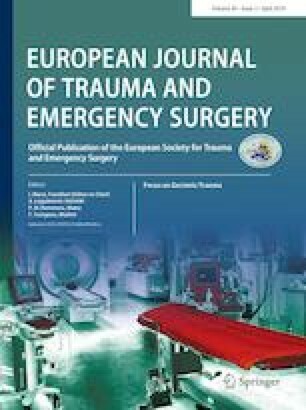 This study was aimed to identify the risk factors for big thrombi detaching from the vessel wall in the patients with lower extremity DVT and to identify the role of the lower limb immobilization. We retrospectively reviewed the patients whose inferior vena cava (IVC) filter were removed in our hospital. Baseline data and clinical characteristics of all patients were reviewed, including hypertension, diabetes, D-dimer, the onset site of the thrombus, major surgery and lower limb immobilization. The size of the thrombus in the removed IVC filter was assessed by digital subtraction angiography. The thrombus above 1 cm in diameter was defined as potential thrombus of PE and the thrombus below 1 cm as non-potential thrombus of PE. The characteristics and potential risk factors of the patients with potential thrombus of PE were compared with those with non-potential thrombus of PE. Independent risk factors were further analyzed using multivariable regression analyses. Three hundred and forty-nine patients were included in the study. There is no significant difference in age, gender, hypertension, diabetes, D-dimer, or the thrombus site between the two groups. Major surgery and mobile lower limb were independent risk factors for potential thrombus of PE. The results suggested that major surgery and mobile lower limb were independent risk factors for potential thrombus of PE in patients with DVT. Immobilization of lower limb might play a protective role in preventing big thrombi from detaching from the vessel wall in patients with DVT. The authors Shiqian Xiao, Xin Geng, Jianlan Zhao, and Linlin Fu declare that they have no competing of interests. This study was approved by the ethic committee of Tianjin Hospital.